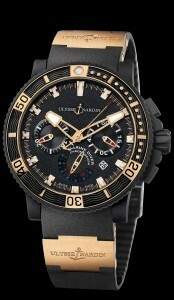 It is a 45.8mm, rose gold case, with Hi-Tech, Ulysse nardin, vulcanized, rubber coating. It features an automatic movement, with a 42 hour power reserve, and date indicator. 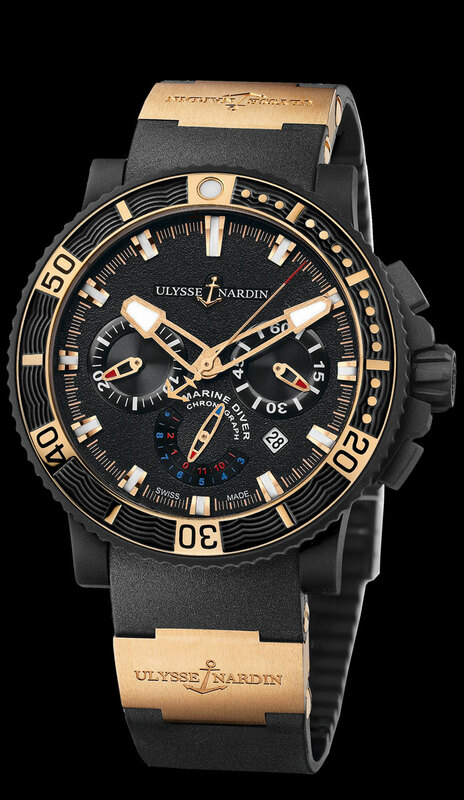 It features the Ulysse Nardin, exhibition glass back, which reveals the rotor engraved with Ulysse Nardin name and anchor logo. It is available on a rubber strap, with rose gold elements, and rose gold folding buckle.